While visiting sunny San Diego over the holidays, we visited Coronado for a quick walk on the dog beach area. Walking back to the car, I saw this amazing door! Here is a closer shot of the door showing the intricate wood work. It’s not always that easy stalking people’s front doors with a camera. I sort of hid behind my car and zoomed in enough to read the quote above. 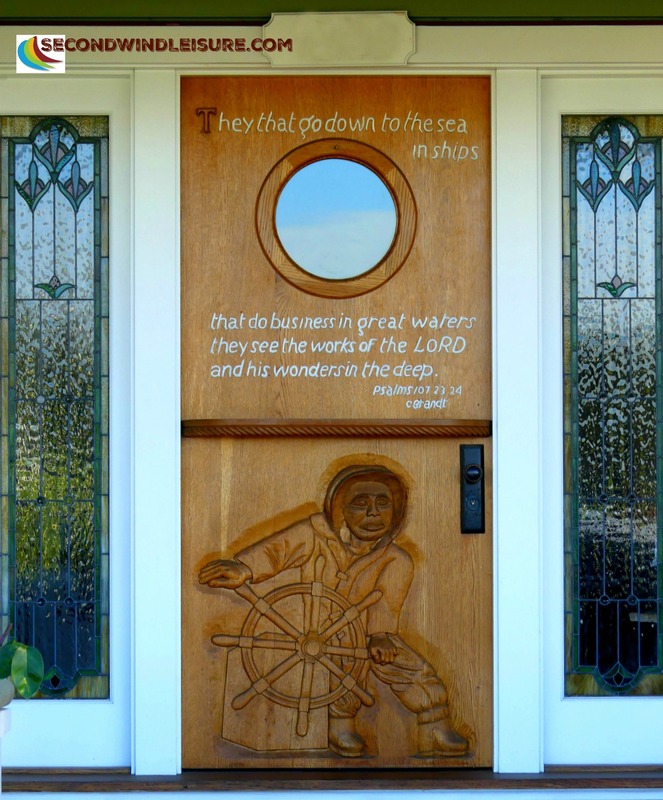 It is a breath-taking door surrounded with beautiful stained glass, complete with a port-hole. All within a stone’s throw of the beach! Thursday Doors is a weekly feature on Norm 2.0’s blog. Weekly Photo Challenge: The Floor is Made of Beer Bottles? What workmanship. I think any householder with a front door like that one, are probably used to the cameras, Terri. I have been known to hid behind a tree when taking photos of doors, though. Whoever built that door is truly a craftsman. I love the sentiment! Thank you! Hope you can get there some day! That is one amazing door, Terri! And, I think as well that it probably gets photographed often – such a nice piece of craft work! It is indeed very impressive! Thanks, Norm! I felt very lucky to get this! And as always, thank you for hosting! Haha, you have great stalking abilities! Am mostly not this lucky. And Sacramento – I thought there would be plenty of unusual doors, but up till now I”ve had more success in the suburbs. By the way, thank you for visiting my blog this week! Thank you! I’m always on the look out for doors now! That really is an interesting door! I love it. What an interesting door! Like others have said, I imagine that the homeowners are used to people taking pictures of their door… but I can understand that you felt a bit awkward. But, I’m glad you went ahead and did it anyway so you could share it with us! I’m almost surprised you haven’t seen it. Across from the park heading toward the dog beach. I don’t even know where the dog beach is (maybe because I don’t have a dog). Perhaps I need to get over to Coronado again soon to check things out! That occurred to me after I sent it 🙂 I didn’t know until my brother took me over there with his dog. You made me happy this Thursday morning. Thanks! What a great find, Terri!! It is funny taking photos of other’s property—I would hope they think it’s a compliment?? Beautiful door! I agree with Donna. I’m sure many people have “stalked” this door. LOL! With a door like that, the owners probably find their entrance way ‘stalked’ quite often. I LOVE Thursday Doors! Thanks for sharing. 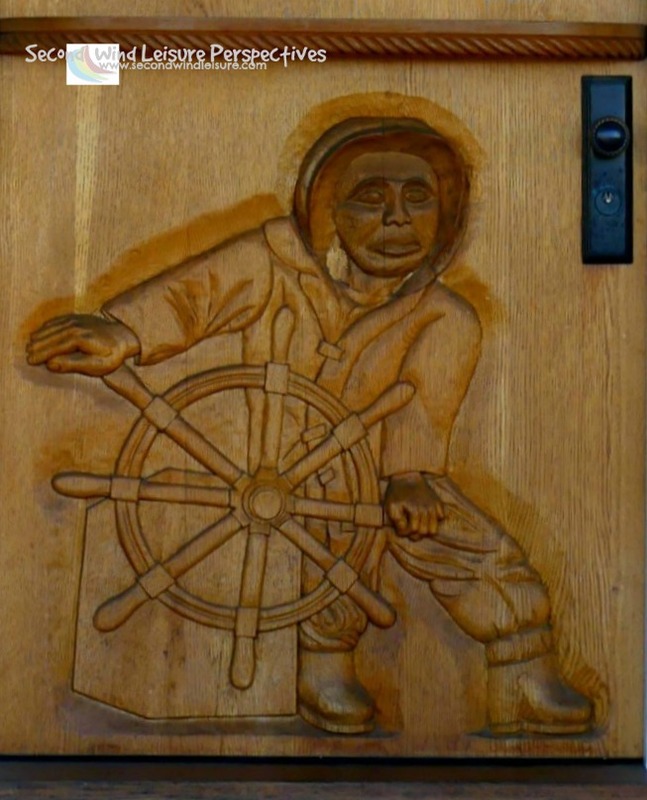 Yes, this is a fantastic door. Wow. Think of all that work. 🙂 Thank you for sharing. Thank you, Tess, so glad I stumbled upon it!